About seven years ago I took a weekend course at Tufts University School of Dental Medicine entitled “Sleep Dentistry”. This was not a course in putting patients to sleep for their dental work. 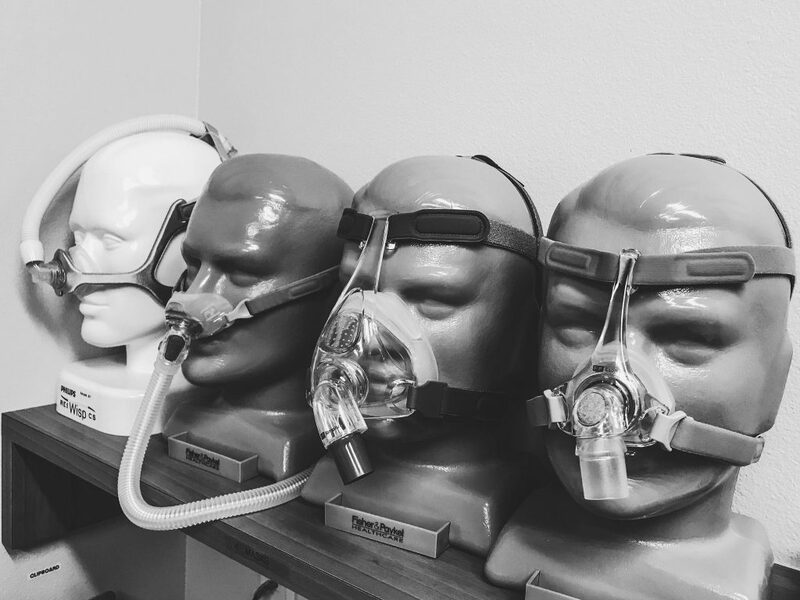 This particular course was an introduction to treating people who had been diagnosed with sleep apnea (a sleep breathing disorder) by a medical doctor, and could not (or would not even consider) the use of the dreaded CPAP machine. CPAP, which stands for Continuous Positive Airway Pressure, is a facial mask which blows air through the nose to create an “air stent” to basically hold the airway open during sleep. Patients with sleep apnea have been diagnosed with a progressive disease in which breathing is decreased at least 90% for more than 10 seconds multiple times an hour. Most people know someone who has been diagnosed with this disease and either uses a CPAP machine, or cannot use it. The “sleep dentistry” part of the equation is that for those who have been diagnosed with sleep apnea and cannot use the CPAP machine, the next line of defense is a dental device. This is worn at night to hold the lower jaw slightly forward and not allow the jaw to fall back during sleep. Holding the lower jaw (mandible) forward helps to prevent the tongue from falling back in the mouth during sleep and obstructing the airway. I was excited about this course I had taken at Tufts, and thought that I was going to start treating all these people I heard about who were not able to tolerate or didn’t want to use CPAP. The problem I found was that sleep apnea needed a medical diagnosis, which meant that patients had to have already had a sleep study with a physician, have failure in the use of CPAP, and then somehow find their way to my office. I was frustrated. I wasn’t treating that many patients, but knew (or at least thought), I must need more education. So, I enrolled in a mini-residency program at Tufts for 8 months. This was a much more intensive program with heavy emphasis on the science behind the disease, which included more reading of scientific papers than I had ever done. The program was great and I felt I had now “figured it out”. That was 2 years ago. I was much more knowledgeable about things to look for in patients, and was referring many patients to physicians to be evaluated. Some patients would end up having a sleep study, be diagnosed with sleep apnea, go on CPAP, and then come back to my office and say, literally, “you changed my life.” There is no greater feeling than that. Even though I didn’t get to treat them with my fancy dental appliance, they were being treated for a disease that was slowly (or not so slowly) killing them. There were also those patients who had the sleep study, were diagnosed with sleep apnea, were not able to (or didn’t want to) use CPAP and were referred back to me for dental appliance therapy. Great!!! However, I quickly became frustrated again. Far too many patients, with classic symptoms such as snoring and daytime fatigue, were returning to me, saying they had a sleep study that showed they did not have apnea. Now what? I’m a dentist, not a physician. Sleep problems are medical problems. And, although I knew that many of these patients may have sleep issues that were out of my control as a dentist (there are over 100 sleep disorders), many of these patients had dental signs such as wear on their teeth, grinding and/or clenching problems, TMJ pain, and other anatomic issues that I had learned about that were likely related to breathing problems. So, what did I do? I decided I needed more education. There are five major reasons that people do not get the necessary dental care they need. They are money, time, lack of concern, fear and trust. Let’s take a quick look at each one and see if any of them fit you, or anyone you know. I’ll also discuss what dentists often try to do to overcome these obstacles for patients. 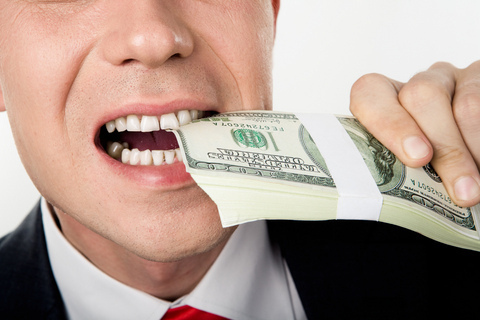 Although you may think that money would be the number one reason people avoid ideal dental treatment, it is not. Even in tougher economic times, money, although a significant barrier for many, is still not the number one issue for most. Yes, dental care in some cases can be a significant investment. With insurance companies unwilling to raise the bar, as I have talked about in numerous columns, patients often get stuck with large dental bills. Unfortunately, as of now, we have to face these facts, and it does not mean avoiding the dentist. Many dentists offer payment plans through third party carriers, or within their offices so patients can pay for treatment over an extended period of time. Ask your dentist if they have such an option. The point here is to get a plan. Once a plan is established, your dentist can work with you to prioritize and sequence your treatment. This way, if you need to spread your treatment over a period of time to make it affordable, you can pick away at a well thought out plan. Time is an excuse. We all use time as an excuse for many of the things in our lives we want to avoid or procrastinate about. The reality is, however, if we place something high enough in our value system there is always time for it. In order to move something higher up in our value system, we must be educated and come to realize that this particular thing is of benefit to us. This brings us to the most common reason people avoid ideal dental care. Lack of concern about dental health is prevalent with a huge percentage of the population for a few reasons. Absence of pain is one. Other than a toothache and need for a root canal, there few things that actually cause pain. For example, take periodontal (gum) disease. About 75% of the population has some form of this disease, but only 50% of the population go to the dentist. Why? No pain. This doesn’t mean it is healthy and there are not potential problems down the road, like loss of teeth or other medically-related problems. It is up to the dentist to educate patients on these types of issues, but people have to actually go to the dentist to get this information. 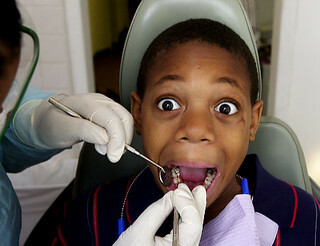 Some people have fear of going to the dentist….and for good reason, due to bad past experiences or bad information. However, dentistry today should be a comfortable experience most of the time. For those who are still fearful, there are different medications dentists can use to ease the experience. The last barrier to ideal treatment is trust. For a patient to move forward with treatment, it is essential the patient both likes and trusts the dentist. Although I am sure that the skills of your dentist are important to you, I am willing to bet that you would not stay with a dentist who you did not like or trust. Find someone you can connect with and build a strong doctor-patient relationship. If there are other reasons you avoid optimal dental care, e-mail me and I will be glad to offer some suggestions. In this age of reality TV and other unrealistic propaganda, many people, including teenagers, are making changes to improve their appearance. And for teenagers, physical appearance is an important element of peer pressure. When it comes to the desire for whiter teeth however, age does play a role. Whether teeth whitening is done by a dentist or with over-the-counter products, no one under the age of 14 should be whitening their teeth. Even though all the permanent teeth may be in by this age, teeth are still developing. Once the permanent teeth have erupted into the mouth, called active eruption, you may notice that the teeth look short. It takes time for the gum tissue to recede, called passive eruption, and the teeth to get to their final size. In some people, this passive eruption doesn’t completely happen and the teeth still look short. Sometimes this is referred to as a “gummy” smile. There are many reasons for showing excess gum tissue and the solutions for that are a subject for a different column. However, if teeth are bleached prior to this passive eruption completely taking place, the teeth can end up being two-toned. Although this can usually be corrected, it is best to wait until the entire eruption process is completed. Once an adolescent has reached 15 or 16, if a parent and their child decide that they would like the teeth to be whiter, they can discuss the options with their dentist. There are many different ways to whiten the teeth. Some of the over-the-counter products will work to some degree. They work especially well on young teeth or those that are more yellow. However, the safest and most effective way to whiten the teeth, especially teeth that are older or greyer, is under the supervision of a dentist. Many people will Google products they can buy over the internet to whiten their teeth. If you have ever done this, you know there are many products that are sold with the addition of an ultraviolet light. 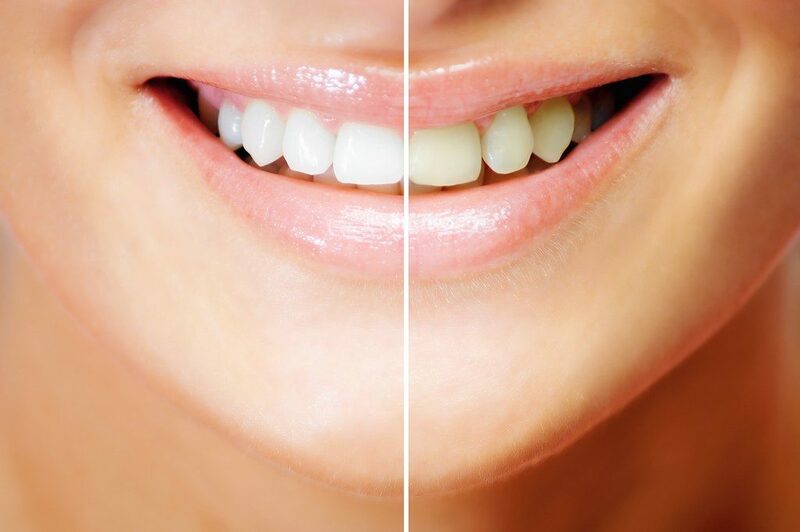 Clinical studies show that this type of bleaching is no more effective than traditional whitening with trays and gel. The light may cause more dehydration in the teeth which will produce an appearance that the teeth are lighter, but this is usually not sustainable. My experience is that professional tray bleaching with properly made trays and proper technique is the most effective. Some patients will be able to achieve dramatic results in only a week of daily bleaching. Others may require longer periods of time to achieve the desired result. Last week I discussed some of the content that was presented in a recent U.S. News & World Report which featured seven pages of information on dentistry. This is a continuation of that. One of the columns in this section of the report entitled, “Guarding Kids’ First Choppers”, mentions that childhood tooth decay is “the most prevalent chronic disease in children”. This is true. According to the report, 28 percent of preschoolers have dental decay. 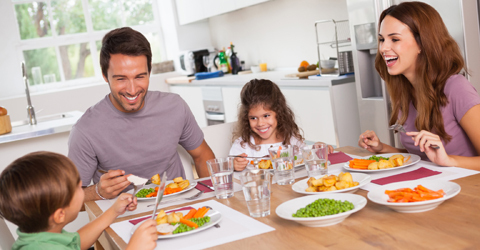 There are many factors that contribute to dental decay, including poor dietary habits and insufficient oral hygiene. This increase is not only in preschoolers but right through high school. However, the column goes on to say that “dental visits should begin no later than a child’s first birthday”. I think that is a little early and usually recommend seeing children by age three. However, parents should closely inspect their children’s teeth. If there is anything that is seen that is not tooth-colored or doesn’t look right, the child should be seen by a dentist. Pediatric dentists are one option but many general family dentists are more than willing to see children. If there are issues that warrant a pediatric specialist, the child can be referred. Another column in the report entitled, “The Wisdom on Wisdom Teeth”, says “the latest data suggests that as many as 80 percent of people will develop problems with their wisdom teeth”. This is true. In most people, wisdom teeth either will not fit with all of the other teeth in the mouth or they erupt crowded. This may not cause a problem right away, but because they are difficult to clean, they either get decay or cause periodontal problems with the neighboring teeth. The current line of thinking is to remove these teeth between the ages of 16-18, or before the roots are fully developed. This generally makes for a much less traumatic surgery. 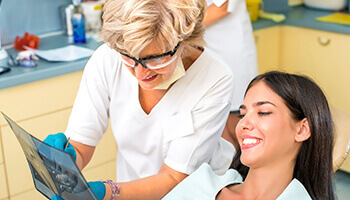 In the article entitled, “Taking the Cost Out of the Bite”, it is discussed what to do if you don’t have dental insurance. One of the suggestions is “to consider purchasing an individual dental policy”, and the other is to look for discount programs which “give members 10 to 60 percent off at certain providers”. This is tricky. If you don’t get dental insurance from your employer or are not covered under a spouse’s plan, you really have to look at the numbers and also at what you are entitled to with particular plans. If it seems too good to be true, it probably is. The cost of purchasing your own indemnity dental insurance plan usually outweighs the benefits. Most, if not all dental insurance plans have annual maximums which average $1000 per year. You pay the premium to the insurance company, which might be $750 a year, but then you only get $1000 in benefits. It may make sense for families but usually not for individuals. As far as the “discount plans” the column refers to – this is a buyer beware. These plans force you to choose a dentist from a list and this list is usually not very long. If a dentist is willing to accept 50% of their normal fee for a procedure, it is important to consider the quality of care. Dental health is important to overall health on many different levels. Make it a priority! Sometimes you may cut corners in your dental routine by not flossing. You figure it’s not going to affect you much because you still brush. But every time you see your dentist for your semi-annual checkup and cleaning, they notice and tell you that it is essential to do this step. But why? In reality, adding a couple of extra minutes to your oral hygiene routine to floss can be the one thing that keeps you from developing bad breath, or worse, gum disease. Your dentist can help you achieve a flawless floss with the following steps and tips. A recent U.S. News & World Report featured seven pages of information on dentistry. Although I was surprised that most of the information was accurate, as the media often skews the facts to make a point, there were a few things that I felt needed clarification. The first article highlights the fact that 75% of adults have some form of periodontal disease. This is true. It also mentions many of the known facts with regards to gum disease and systemic health. One of those is that uncorrected gum problems can make it more difficult for diabetics to control their blood sugar, and in turn worsen their gum problems. This is also true. With regards to brushing, the article states, “Scrubbing with fluoride toothpaste robs oral bacteria of sustenance.” This is true to some extent but the term “scrubbing” is not completely accurate. Proper brushing technique with either a very soft manual toothbrush or good electric toothbrush is a more accurate description. Also, fluoride, in and of itself, is not truly anti-bacterial. Although it is felt that its anti-cavity action is related mainly to effects on mineral phases of teeth and on the process of remineralization (strengthening enamel), research does show that fluoride also has important effects on the metabolism of bacteria in dental plaque. There are other ingredients in toothpastes with and without fluoride that are more anti-bacterial, but it is the removal of plaque manually that is most important, even without toothpaste. With regard to electric toothbrushes, the article insinuates that “basic” and “cheap” ($7) models are as effective as more expensive models. This is false. Although you do not have to buy the most expensive model available, there is a huge difference in effectiveness between a $7 battery-operated toothbrush and a $70 wall-charged one. 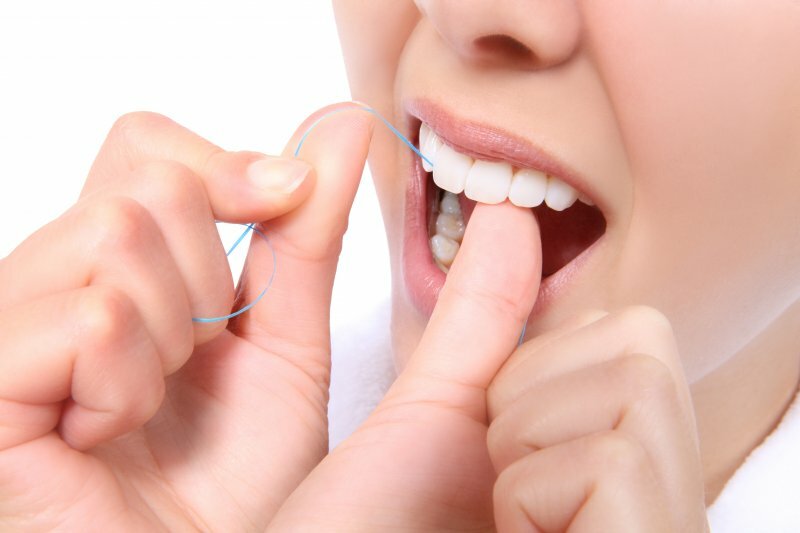 The article states, “Only floss can reach below the gum-line.” This is not completely true. Proper toothbrush technique gets below the gum-line on two sides of the teeth. Floss is important for removing debris between teeth. A water pik is probably most effective for cleaning the non-brushable areas in the mouth. For combating bad breath, the article’s first suggestion is to “brush your tongue.” Although it mentions the use of a tongue scraper, it only states the use of this device if your toothbrush makes you gag. The fact of the matter is that a tongue scraper is 100% more effective in removal of the nasty bacteria on your tongue. If the toothbrush makes you gag so will the tongue scraper. One trick is to scrape your tongue while you are exhaling. Change is inevitable. While there are some changes that take place we have little control over, there are other changes that we have to initiate to move forward. Changing our behavior, habits, attitude, or any aspect of our lives can be a challenge. I am not writing as an expert on this subject as I have the same struggles as everyone else with change. However, repeated awareness of changes we want to make is one strategy to move us closer to making that change; for example, your dental hygienist reminding you to floss. Effective? Mary, a patient of mine, is an adult who has had issues with decay (bacterial disease that breaks down tooth structure), dental erosion (chemical breakdown of tooth structure), and gum recession (loss of the supporting structures of the teeth). When people like Mary present with these problems, we dentists like to present treatment to “fix” the problems. However, the reasons “WHY” these issues are occurring are just as important, if not more so, than the “fixes” we propose. 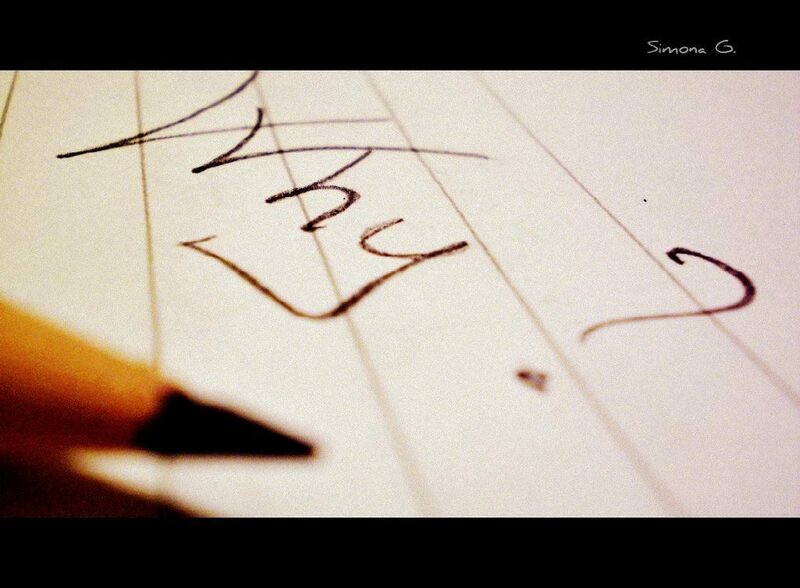 We have to understand the “why” in order to focus on changing the causes. Mary drinks diet soda. In fact, Mary doesn’t just drink diet soda; she has a diet soda by her side all day long. At a recent event I saw Mary sitting and listening intently to the presentation. At her side was her diet soda. Every few minutes Mary would unscrew the diet soda cap and take a swig. The three main dental issues Mary has, decay, erosion, and recession, have many different etiologies. One common denominator is pH, which is a scale used to describe the acidity or alkalinity of solutions or environments. The lower the pH, the more acidic the solution or environment is. In order for any of the three disease processes described above to occur, the pH of the oral environment has to be acidic. While there are many reasons the pH of the oral environment can be acidic, such as medications or disease, dietary factors play a significant role. A pH lower than 5.5 in the oral cavity puts you at risk for dental disease. Most tap water, for example, has a pH of 7. The average diet soda has a pH of 3.28. Stomach acid has a pH between 1-2. Diet soda is very acidic. Having a diet soda with a meal on occasion is most likely not a problem. Typically, after consumption of an acidic beverage, your saliva will neutralize (make your mouth more alkaline and less acidic) within about a half hour. That is why you may have heard that you should wait at least a half hour before brushing your teeth after meals. The problem with Mary sipping the diet coke all day long is that the pH of her mouth is always acidic. This creates a very dangerous environment. Quieter drills, new materials and technologies will not solve these problems. While etiologies such as medications that can cause dry mouth and a very acidic environment are difficult enough to manage, behavioral issues are often not discussed in enough detail, or at all because they can be more difficult to manage. However, this is the key area for the dental provider to help the patient understand and initiate change. Avoidable dental problems are the last thing a patient wants to hear about and a dentist wants to see. The next time your dentist or dental hygienist tells you there is a problem, such as a new cavity, bleeding gums, or worn/broken teeth, ask them to explain why this is occurring. Hopefully, this will lead to the start of changes to help this from happening again. Despite the generalized notion that people should visit a dentist bi-annually, I am more a proponent of individualized frequency recommendations based on a few factors. We are not all the same; therefore each of us has our own specific needs. Results from a recent Gallup-Healthways poll of 355,334 Americans indicate that more than one-third of the population, 34% to be exact, did not visit a dentist last year at all. Over 50% of the population said they visited the dentist one time or less last year. The researchers explored the association between long-term tooth loss and the frequency of preventive dental visits in adults with and without three risk factors for periodontal disease: smoking, diabetes and interleukin-1 genetic variations (regulates immune and inflammatory responses). Subjects were deemed low risk if they had none of these factors. The data showed that as a group the high-risk patients who had two preventive dental visits lost significantly fewer teeth compared to the high-risk group that had only one preventive dental visit per year. By contrast, there was no difference in tooth loss for the groups at low-risk based on one versus two preventive visits per year. The researchers concluded that individual risk factors should dictate the frequency of cleanings. The American Dental Association recommends regular dental visits at an interval determined by the patient’s dentist. The patient’s dentist makes an individualized recommendation based on the patient’s health history and current oral health status. • The key takeaway from this study is that personalized oral care—taking into account your oral and overall health history—is necessary for good dental health. • The study only looked at tooth extraction and its association with risk factors for gum disease; however, other health conditions can contribute to poor oral health, so that’s why personalized dental care is critical to good patient care. • Personalized treatment plans should be the priority. Recommendations for future dental appointments should be based on what is seen during your examination, your health history, and any concerns you may have about your oral health. • The American Dental Association’s website at www.mouthhealthy.org has a lot of information on how to take care of your oral health between dental visits. While there is clearly a segment of the population who can “get away” with visiting a dentist once a year to maintain a healthy mouth, this group is relatively small. 75% of the population has some form of gum disease. Within that group, there are those who should see a dentist/hygienist twice per year, some three times and others four times or more to maintain proper health. It is up to you and your dentist to have an open conversation about how often you should go. If it has been a while, getting there the first time is step number one. Comments Off on IS ONCE ENOUGH? You have spent thousands of dollars to straighten your son’s or daughter’s teeth with an orthodontist, and then a year or two down the road when you ask them where their retainers are, they answer, “I don’t know.” Sound familiar? Long-term compliance use of retainers is an issue. Here is the latest research and my thoughts on keeping your kid’s teeth straight. Studies show and should not be surprising that the average patient compliance decreases dramatically the longer a patient is out of treatment, and is abysmal at five years following treatment. There are basically three methods used to retain teeth after braces: a clear, vacuum-formed retainer (typically referred to as an Essix retainer), a hard, pink, plastic retainer with a wire in the front (typically referred to as a Hawley-type retainer), and a bonded wire, which is splinted to the back of the teeth. Obviously, the bonded wire has the best compliance because nothing has to be “worn” but it has its own issues – namely, it only keeps the front teeth straight and flossing compliance is poor because it is a pain-in-the-neck to do. The most recent studies I have seen suggest using the clear, vacuum-formed retainers for a year or two, and then moving into the Hawley-type retainer. The reasoning is that it is has been shown that kids are more compliant initially with the clear retainers because it is a relief to get rid of all the wires. However, after a while, those types of retainers lose their “memory” and they get pretty nasty looking and stained, which decrease their compliance. Personally, after I got my braces off about 10 years ago, I had a lower “fixed” wire bonded to the inside of my lower front teeth and a hard “night guard” type of appliance made to retain my upper teeth. This provides very good long-term retention. Another great system for long-term retention after orthodontics is a system developed by Invisalign called Vivera. Here’s how it works. You have impressions taken after orthodontics with your teeth in their ideal position. Invisalign creates a digital model of the teeth that stays on file. They send you (4) sets of retainers, which look like the Essix-type retainers, although they are made from the harder type Invisalign material. At the end of the first year you throw out the retainers you have been using and use the second set for another year. This provides excellent retention for four years. Every year you change the retainers the new retainers feel really tight because the teeth have moved slightly over that time because of some memory loss. However, the “new” set of retainers was made from the original model, therefore the teeth are moved back to their starting position. After the four years you order another (4) sets of retainers made from that stored digital impression. Guaranteed retention provided there is good compliance. The cost of the (4) sets of Vivera retainers is about $600. That’s $150 per year to guarantee the teeth stay straight. Worth it? I think so after spending thousands to straighten the teeth. Sleep Apnea and Weight Loss: Are They Related? Sleep apnea is one of the foremost medical problems facing American society. Fortunately, there are many ways that a sleep dentist can help to treat the problem, from spotting common symptoms to crafting a customized anti-apnea appliance. But part of the process of treating apnea is correcting the misconceptions that have grown up around the condition. With that in mind, let’s look at some of the most common beliefs about apnea and weight loss. People who are overweight are more likely to suffer from sleep apnea and vice versa. The two problems often occur together. Not all apnea patients are carrying around extra pounds, however. Many of them are well within normal weight ranges for their height and body frame. Losing weight might make apnea symptoms less severe. But the odds of weight loss alone eliminating the condition are slim. Most patients will still require therapy in the form of a CPAP device, surgery, or a dentist-made mouthguard. As you can see, there’s a strong correlation between sleep apnea and excess weight. But not all people who suffer from one condition also suffer from the other. Nor is it possible to “cure” one problem by getting rid of the other. While many people can and do manage their own weight loss, sleep apnea always requires professional care. Performing a complete exam of the mouth, throat, and sinus passages. Certain people are at high risk of apnea due to restricted airways or other physical characteristics. A dentist is often the first medical professional to spot these warning signs. Providing a referral to a sleep physician for a formal study, also known as a polysomnogram (PSG). This may occur at an authorized medical center or, in some cases, in the patient’s home. Professional medical equipment is used to monitor the patient’s breathing, oxygen levels, heart rate, blood pressure, and sleep behavior. Creating a customized oral appliance to treat airway obstruction. This is sometimes used as an alternative to a CPAP mask. These products are not the same as over-the-counter mouthguards you may have seen online or in infomercials, which provide only minimal benefits if any at all. Recommending sleep coaching tips. For example, some people breathe normally while sleeping on their sides but develop apnea symptoms when rolling over onto their back. Your dentist may suggest ways to remain in an optimal position while at rest. Sometimes this can be accomplished using a specially made brace or harness. Getting adequate amounts of quality sleep is essential for all of us. Self-care in the form of exercise and sound nutrition is important for achieving this goal. But correcting the symptoms of apnea takes professional help. See your dentist or other healthcare professional soon to discuss your treatment options. You’ll soon be on your way to a healthier, happier, more productive life. Dr. St. Clair has been practicing dentistry for 23 years, since earning his dental degree from Tufts University School of Dental Medicine. He’s a member of the American Dental Association (ADA) and the American Association of Dental Sleep Medicine. You can reach his office online or by calling (978) 948-2030. Comments Off on Sleep Apnea and Weight Loss: Are They Related?